Home » Bollywood News » Vicky Kaushal wants to set his own example and here's what he does! 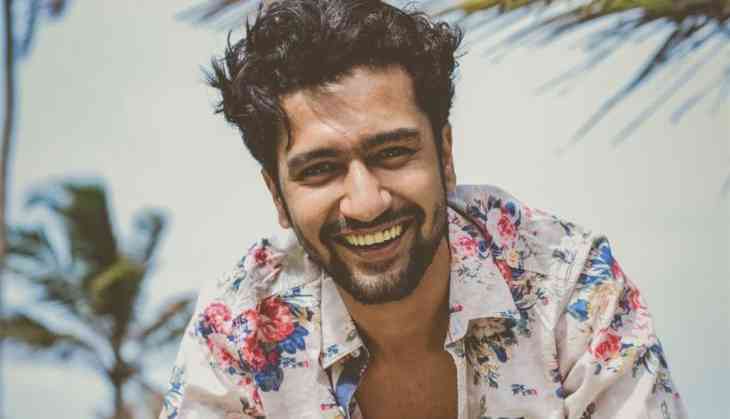 Vicky Kaushal wants to set his own example and here's what he does! Uri: The surgical strike actor Vicky Kaushal is ridding high on its success, he says he has never cared about following the norms in the film world-whether it is for the protagonist's part, a secondary part or debuting with a film like Masaan. The actors upcoming project include Karan Johar’s Takht, he believes in setting his journey as an example for others and not really to follow others' journey. When asked what makes him a game changer, Vicky told IANS via email: "I guess following my gut and not really going by the rules of the book. "As an actor, I have not really been stuck up with the kind of work that people around me are doing. If it's a protagonist's part, a secondary part or debuting with a film like 'Masaan', all these go against the textbook laws for any upcoming actor. Vicky has showcased his talent in diverse role like Masaan, Zubaan, Sanju, Lust Stories or Uri and set a bench mark for other young and upcoming actors. On Uri...and its success, he said: "It's one of those experiences that have been extremely stimulating and enriching as an actor and as a human being because when you get to wear that uniform to play a character of an Army man, it brings a lot of responsibilities on your shoulders. "I learned so much about the lives of an Army officer, their families... You just realise the kind of selfless work they are doing for all of us. Their quote is 'service before self' and they truly live by that." When asked whether his personal connection with the Army help him perform better in the film? "Of course! It gave me such a good insight as to how an Army person not only trains, not only how he physically prepares himself but also mentally how he is that strong. How for him, the country comes first before anybody else. That definitely helped me a lot in playing the character."